Our members are welcome to check out books during office hours. Our lending period is one month. Should you want an additional month, please call the office to extend your check out period. 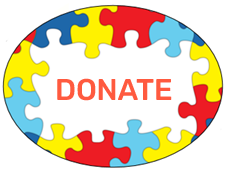 If you are not a member of Autism Society Acadiana, and wish to join our organization, there currently is no membership fee; however, you must live within the 7 parishes we serve: Acadia, Evangeline, Iberia, Lafayette, St. Landry, St. Martin, and Vermilion. Contact the office to become a member of Autism Society Acadiana, or visit our membership page and submit the from today. You may return the form by fax, 337-235-4427, via email, Contact@AcadianaAutism.org, or by postal mail (see address in preceding paragraph). Autism Society Acadiana, 3108 West Pinhook Road, Suite 101, Lafayette, LA 70508. Books – Medical, Diet Interventions, etc. The Highly Sensitive Child, by Elaine N. Aron, Ph.D.